While not known for my briefness, this review may end up as one of my shortest. That stems from the simple nature of the program itself. 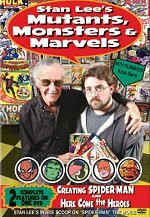 Though feature-length, Stan Lee’s Mutants, Monsters and Marvels consists of very plain programming. However, don’t take that comment as an insult. While Marvels doesn’t offer a great documentary, it seems generally informative and compelling. All Marvels gives us is an interview with comic book legend Stan Lee. Filmmakers - and comics fan - Kevin Smith chats with Lee in this session that the DVD splits into two programs. “Creating Spider-Man” runs 42 minutes and delves into that aspect of Lee’s career. He talks about how he came up with and developed the character and also goes over his evolution, popular response, the recent film adaptation, and a mix of other Spidey-related topics. 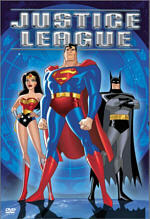 Entitled “Here Come the Heroes”, the second program lasts 52 minutes and provides a more general look at Lee’s career. We learn of his roots in the comic industry back in the Forties and see how he eventually became the king of the field. He chats about a number of his most famous creations. Of course, all Spidey stuff remains in the other documentary, but this one goes over folks like Daredevil, the Fantastic Four, and the Hulk. It also relates notes about Lee’s experiences since the Sixties. Could Marvels possibly offer a simpler production? Yes, but that would be tough. The vast majority of the program simply cuts between Lee and Smith. 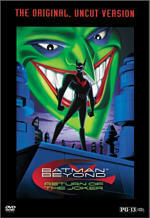 On occasion, we see some comic book images to illustrate various topics, but those are fairly infrequent. Marvels offers a serious “talking head” program that lacks much visual panache. But I don’t regard that as a problem. Any attempts to spice up the production would have seemed silly and obvious. The folks who want to learn more about the topics involved won’t desire useless production values; they’ll prefer straight info. And that’s what we get in Marvels. I don’t know how useful the shows will be for dedicated comics fans. They’ll likely already know a lot of the information involved. Nonetheless, they should enjoy the format, as we hear the notes straight from the horse’s mouth. For those less well acquainted with the material, the programs seem quite interesting. You should probably watch “Here Come the Heroes” first, as it starts with the beginning of Lee’s career and offers the more general overview. “Creating Spider-Man” becomes the star segment just because of the hit movie. In reality, it’s more of a complement to “Heroes” and makes more sense if you view it second. I used to be a massive comics buff, so a fair amount of the material was somewhat familiar to me. Nonetheless, I enjoyed the discussion. Most of it gets a fairly positive spin - there’s not any real hard edge here - but Lee proves to be a genial and entertaining speaker, and he brings his stories to life nicely. Surprisingly, Smith actually acts as a moderate problem. While a funny guy and a lively presence, he doesn’t know how to conduct interviews. His questions seem solid, but he involves himself too much in the conversation. Smith frequently burbles “Right” or “Yeah” or other interjections. This interferes with the flow of Lee’s comments and gets quite distracting. Despite those concerns, I still enjoyed Stan Lee’s Mutants, Marvels and Monsters. It took me back to the days when I adored comics and gave me some insight into the creation of a few favorites. The programs could use better editing - they seem choppy at times - and they lack much flair, but they include a lot of compelling information that comic fans should enjoy. 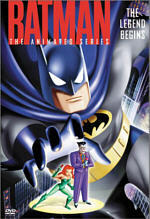 Stan Lee’s Mutants, Monsters and Marvels appears in an aspect ratio of approximately 1.78:1 on this single-sided, single-layered DVD; the image has been enhanced for 16X9 televisions. Despite - or perhaps because of - the project’s modest scope, the picture looked terrific from start to finish. Sharpness seemed excellent. The image remained tight and concise at all times, as I detected no signs of softness or fuzziness. I saw a few jagged edges and a little shimmer via the shots of some comics, but otherwise the program looked tight, and I detected no signs of edge enhancement. The show appeared free of any source flaws. As one might expect, Marvels provided a very natural palette. The DVD replicated the hues quite nicely. The colors always seemed clean and clear, with no signs of noise, bleeding or other issues. Black levels were also dark and dense. Shadow detail didn’t really enter the equation - the lighting never favored that kind of situation - but I felt the entire spectrum seemed appropriately replicated. Overall, Marvels offered a very strong visual presentation. Unfortunately, the Dolby Surround 2.0 soundtrack didn’t fare as well. Despite the intense simplicity of the project, it displayed a number of concerns, many related to the soundfield itself. Marvels should have been an easy presentation. The vast majority of the track offered dialogue. Between segments, brief snippets of music appeared, which gave us some stereo imaging. Otherwise, it was all talk, all the time. And they couldn’t get that right! The problem stemmed from the muddy localization of the speech. At the start of “Creating Spider-Man”, Lee appeared in the middle, and Smith popped up from a little toward the right. However, they slowly started to migrate toward the left. Eventually, Smith ended up in the center, while Lee’s material came from the hard left. For “Here Come the Heroes”, Lee began at the far left with Smith in the middle. They then began their drift back to the right, so by the end, Lee resided in the center and Smith finished at the right. In addition, the speech occasionally bled to the rear channels, which constituted all of the surround activity I heard. While this might come across as nit picking, I found this lack of clear localization to appear quite distracting. The shifts occurred constantly and seemed very noticeable. Perhaps I thought it seemed so aggravating because it was unnecessary - how hard can it be to create a decent dialogue track? Apparently it’s pretty tough, for the quality of the speech also seemed somewhat weak. Although I always could understand what Lee and Smith said, the dialogue showed moderate edginess at times. This distortion wasn’t a huge concern, but since speech made up the majority of the track, it became more noticeable and problematic. Music sounded bright and rich during the few instances it appeared. Overall, the audio for Marvels was good enough to merit a “C-“, but it definitely showed some flaws. One note about the DVD: it claims to include English subtitles, but that isn’t accurate. An option for those subtitles exists, but if you activate it, you’ll find no text. However, the disc does provide closed-captioning. Stan Lee’s Mutants, Monsters and Marvels offers a mix of extras, though the roster seems thinner than it appears at first glance. First we get a Behind the Scenes featurette that runs for 115 seconds. There’s no information to be found here. Instead, we just hear Lee, Smith, and director Scott Zakarin praise each other. More compelling is the seven-minute and 35-second Interview With Stan’s Wife Joan. Zakarin conducts this chat, and Joan Lee proves to be a lively and engaging participant. She covers some of the same information heard elsewhere, but she adds her own perspective and gives us a decent look at her side of things. An excerpt from Kevin Smith’s interviews with Lee, The Never Released Fantastic Four Movie offers nothing more than a 45 second discussion of this piece. Lee tells us a little about the discarded flick and tells us why it never saw the light of day. It’s too bad we don’t see any parts of it, but I found it interesting to learn what happened to the movie. Next we hear Stan Lee Recite His Original Poem “God Woke. The audio-only piece lasts for 12 minutes and 55 seconds. Lee states that the poem first appeared at a show in January 1972. I wish this clunker stayed on the shelf another 30 years. The Rare Stan Lee Home Movie Footage shows three minutes and eight seconds of this material. Though undated, I’d assume it comes from the Fifties or early Sixties. We see some of this silent footage during the program itself, and none of it seems terribly revealing. Essentially, Lee goofs around with his wife and kid. Still, it’s a cool addition, although there’s nothing fascinating about it. As someone who used to adore comic books, I enjoyed Stan Lee’s Mutants, Monsters and Marvels. Though not a great interview program, it provided a fun look at the master, his career, and his characters. The DVD offered excellent picture quality, but the sound showed more than a few problems. The extras included some decent materials but didn’t add up to much. In the end, comic buffs will want to give this one a look, though I think its list price of $24.95 seems a bit steep for what you get. Pick it up if you find it for $15 or so.